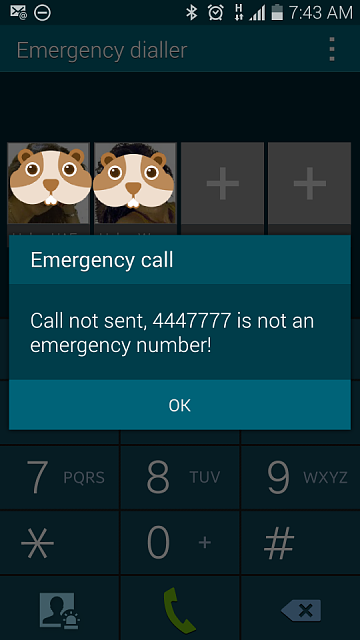 I then found by using contacts you can assign existing contacts as emergency numbers. This allows you to populate the 4 icons on the front of the emergency dialer and if you have more than 4 you can also search/review the others from the dialer lower left button. IBMJunkman and GC736 like this. That is extremely useful and great tip. Took me awhile to figure out how to add a contact to it though. You have to add the contact to your ICE (In Case of Emergency) group. Awesome! I spent a lot of time searching for how to remove the lock screen but there seems no standard way although I just noticed now there is an option to remove but that maybe just the Icons and there are almost no images of the emergency dialer or reference to it in the manual. How do you get the little icons to appear on the lock screen? Mine just shows a lot of grey buttons with "+" on. When I press one, it shows a list of people to call. Which is handy, but not quite "Speed dial". Just wondering though, how do I remove or change a contact that is added to one the four crosses, even if I remove the contact from the emergency group it still appears on the speed dial (one of the four crosses) and pressing it just dials the number. I can probably live with this. I also had this problem, I solved it by editing the contact, I changed the number that was on the contact from 'mobile' to 'home' or 'work'. So then the number was still saved in my contacts but not in the lock screen. I tried this today and it didn't seem to work. I even deleted the contact from my phone, but clicking the plus where the contact's image used to be still dials that contact's number. It's really really important that I am able to completely destroy any way of contacting this person. Is there anything I can do other than factory reset my phone? In regards to the question about getting rid of contacts on the emergency dialer. 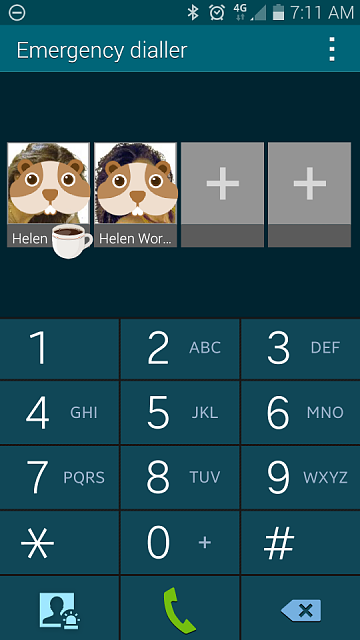 If you're on the emergency dialer from the lock screen press your settings button and then click on remove. A little checkbox will pop up on the right hand side of the contact's image/profile allowing you to remove any selected profile from your emergency list. Good luck! So, it's a Samsung Galaxy feature (not an Android feature), right? i dont think i have an ICE group in my phone.. what do i do then? ... that's not an icon. They're covering up the profile picture. By John Boyd4 in forum New to the Forums? Introduce Yourself Here! Using drive mode to respond to text later?